How Does Refinancing a Student Loan Affect My Credit? Like millions of other Americans, you’re heading out (perhaps for the first time) into the workforce, equal parts excited and stressed out. Why? Because you’re now saddled with student loan debt. It’s a frustrating conundrum: If you hadn’t pursued higher education, could you hope to earn what you’re earning now? Probably not. But, if you hadn’t racked up so much student debt, would your lower income go further? Possibly. But there’s no use crying over spilled milk. What you have now is a significant debt and (hopefully) a career you’re passionate about. Now’s the time to think about long-term stability, not to rehash past decisions. And, of course, to do what’s best for your long-term stability, you need to consider how your student loans are affecting your credit score. How do student loans impact your credit score? 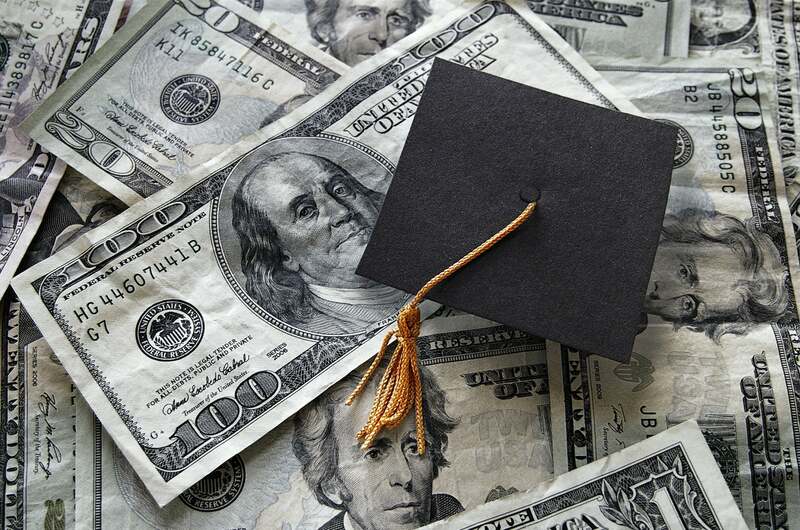 As a recent graduate, your student loans may be the first major debt you’ve ever incurred. Even if you have a well-established credit history, they’re likely one of the more sizeable debts on your record. Therefore, how you manage them can have a huge impact on your credit score and your future opportunities for vehicle loans, mortgages, and other forms of credit. So, the first (and most important) thing to recognize is the need to make sure your student loans are paid on time every month from the first payment on. Whether they’re federally backed or private, your credit score will be harmed if payments are late or if you default on these loans. On the other hand, paying them off in a timely manner, consistently, may be one of the only ways a young graduate can boost their credit score since most do not have other forms of credit in their name that factor into FICO score calculation. Even for older graduates, consistent and timely payments on any debt can help improve a credit score. That being said, if and when it becomes possible to refinance your student loans, there may still be valid reasons to consider doing so. When may refinancing my student loans be a bad idea? Before diving into when refinancing can benefit you, it’s important to understand what you’re giving up if you go forward with a student loan refinance. While each of these features have rules that apply, they can be valuable stop-gaps in circumstances where you may otherwise fall into late payments or default. If your circumstances are such that you can take advantage of these options — even if you don’t need to right now — it may be in your best interest to keep your federal loans and continue to pay them off as your circumstances allow. To be clear: private lenders are unlikely to offer any of the above options once the refinance goes through, and current legislation doesn’t allow you to maintain these benefits once you refinance your federal student loan. When may refinancing my student loans be a good idea? If you’re already employed and can expect to have consistent, adequate income for the next several years. For example, lowering the interest rate will lower the monthly minimum payment. This makes each month’s payment easier to cover, and therefore lowers the chances of paying late or defaulting on the loan. The lower monthly payment might also allow you to pay extra to the principal balance of the loan each month, enabling you to pay the loan off early. In either case, if refinancing the loan allows you to more effectively maintain consistent, on-time payments, it’s going to improve your credit score. What about applying for the refinance? Doesn’t that hurt my score? Calling around and researching the best rates from various lenders during a short period of time results in a number of “soft” credit inquiries. In other words, the various lenders you speak with will pull your credit report, but the reporting agencies can see that they’re all doing so for the same reason, and so the impact is negligible. However, actually going forward with an application for refinancing results is a “hard” credit inquiry, which negatively affects your credit score for a short period of time. .
Do your due diligence first and gather as much information as you can before contacting lenders. Then, set aside a day or two to make all the necessary phone calls and get all the quotes you need to make an informed decision. Finally, when you’ve compared all the options and settled on the best choice for your long-term financial stability, only apply for that refinance option. To summarize, refinancing a student loan can have either a positive or negative impact on your credit. It depends on how you manage the loan: if you’re maintaining consistent, timely payments for the entire life of the loan, it’s going to make a positive impact regardless of who holds the note. If you’re unable to pay on schedule or if you default on the original loan or a refinanced one, it’s going to have a negative impact on your credit. The key is to view your student loans just like any other form of credit and manage them responsibly until they’re paid off. By doing so, your student loan will work for the benefit of your credit score. If you need additional help with a credit clean up, contact a credit repair specialist today. You can also carry on the conversation on our social media platforms. Like and follow us on Facebook and leave us a tweet on Twitter. This entry was posted in Loans and tagged Credit Score, debt, deferment, FICO, forbearance, inquiries, refinancing, student loans. Bookmark the permalink.